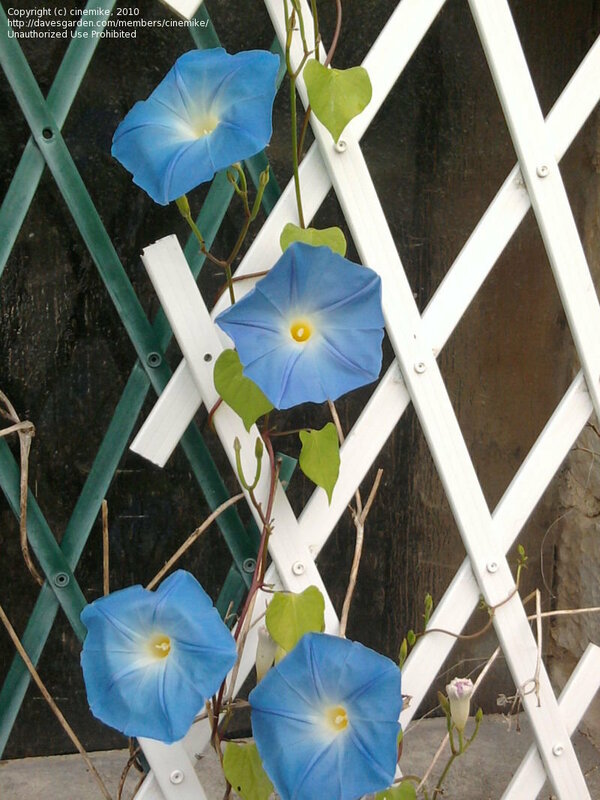 My beautiful blooms that stayed all summer, into the fall. 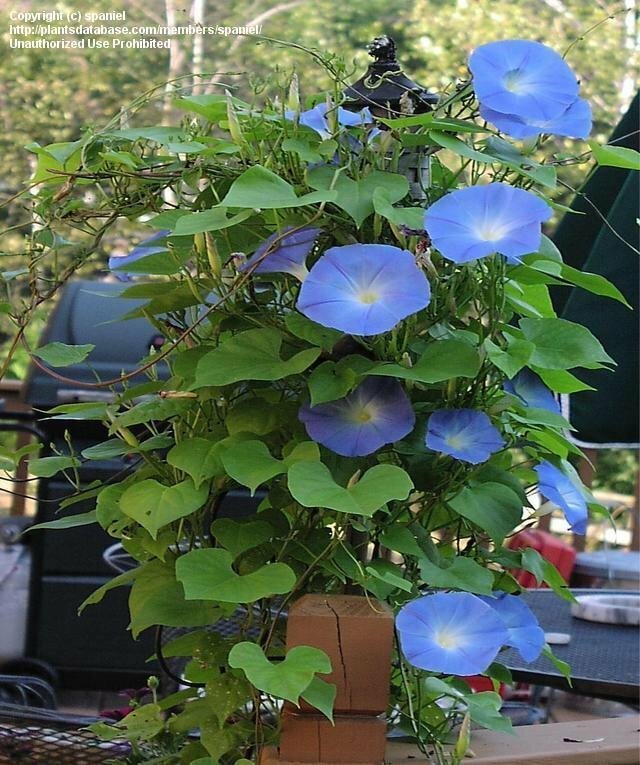 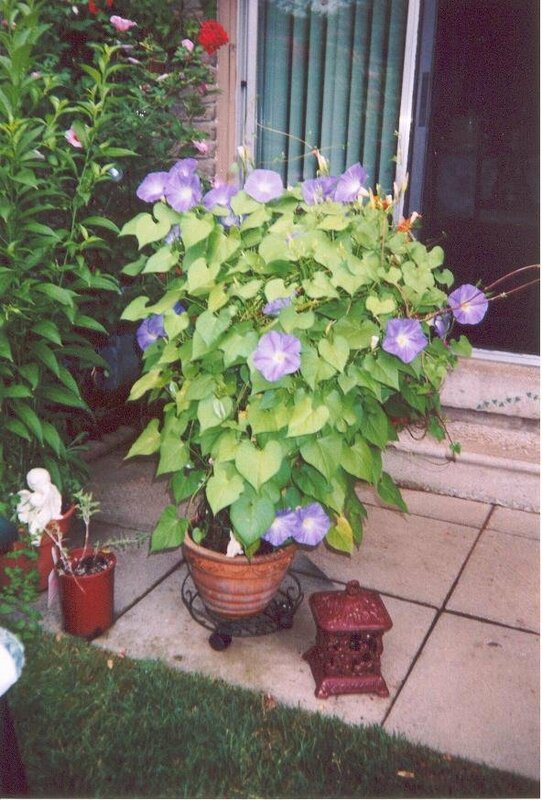 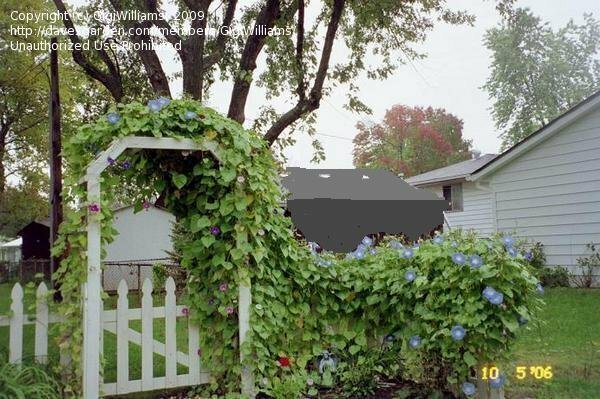 Heavenly Blue Morning Glory in container with obelisk as support. 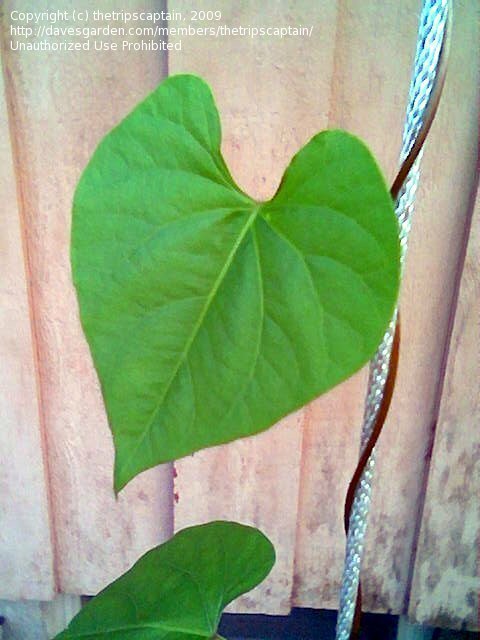 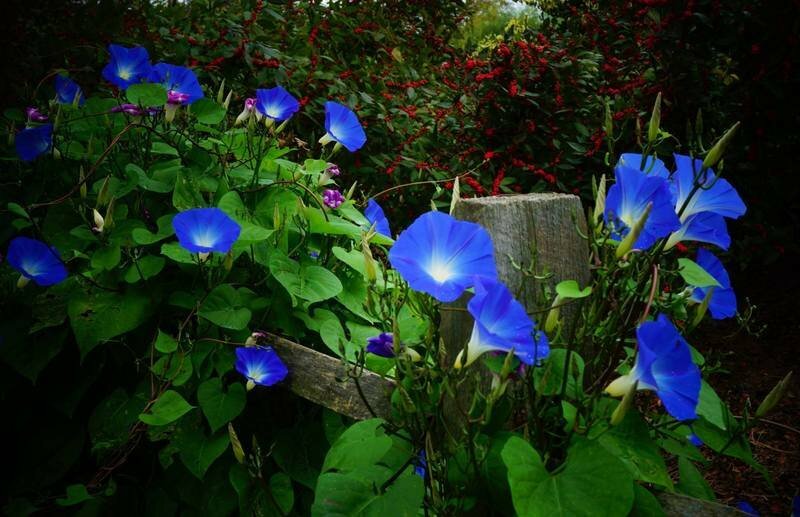 Morning glory seems to love the temperate climate here (nr London, England). 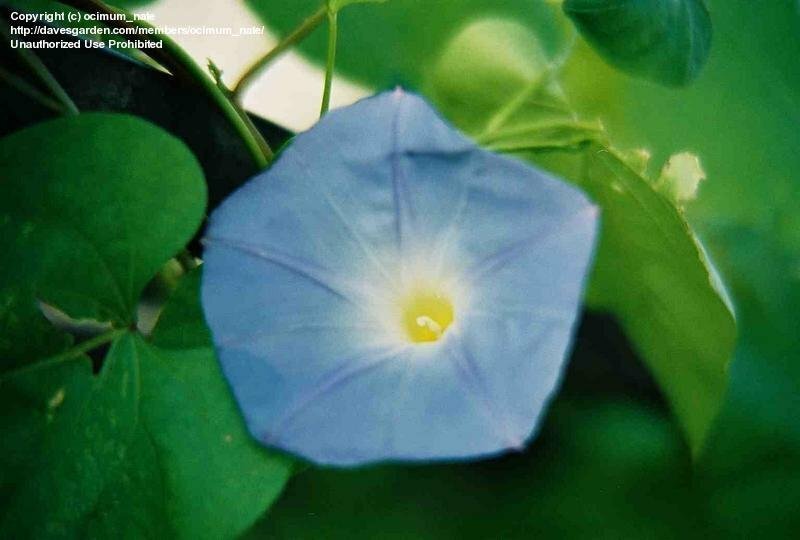 One of the purest blues I know. 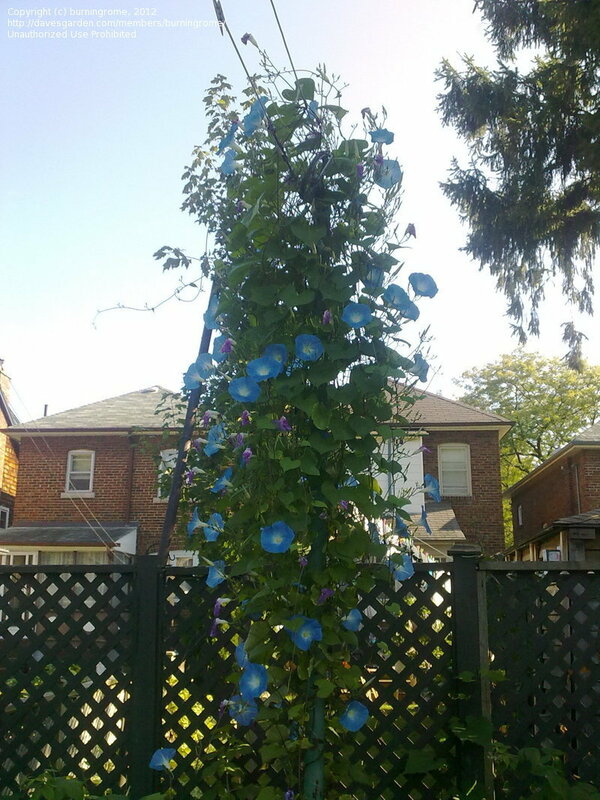 We usually grow them up "bean poles". 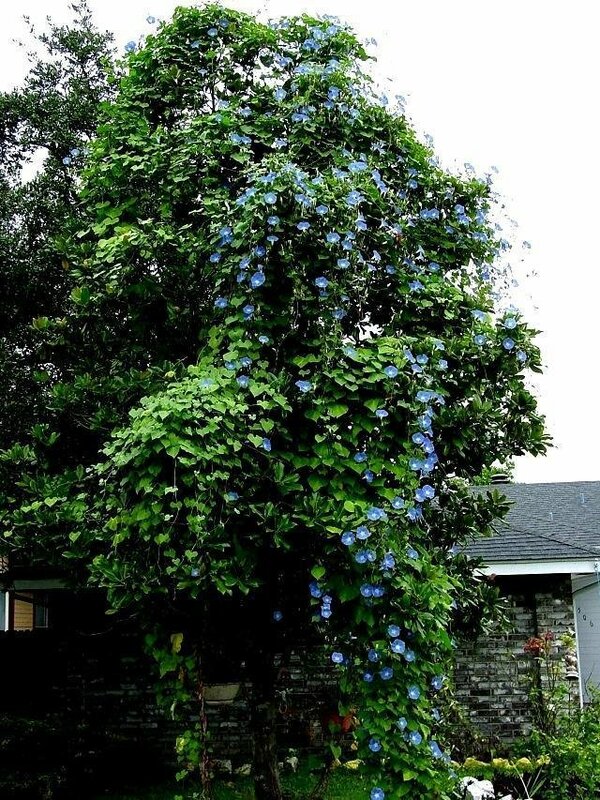 The morning glories vining up this tree each year look glorious. 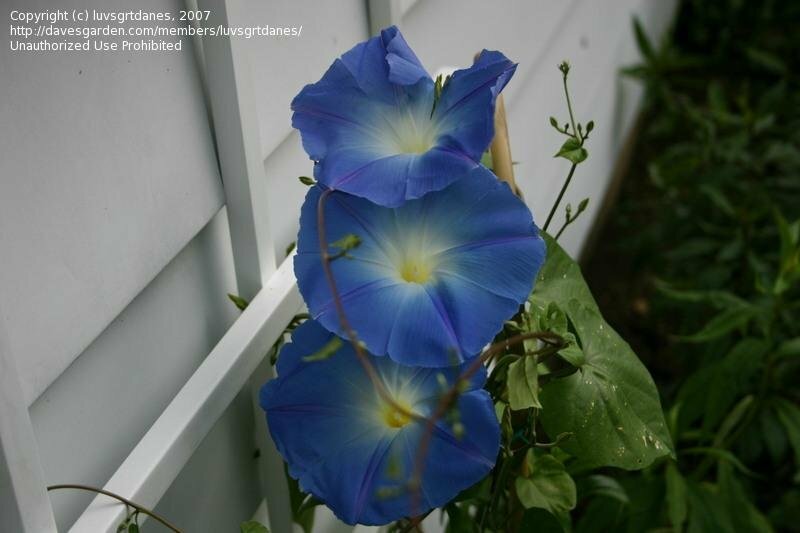 The darker blue is the actual color, the paler one being something totally unexpected! 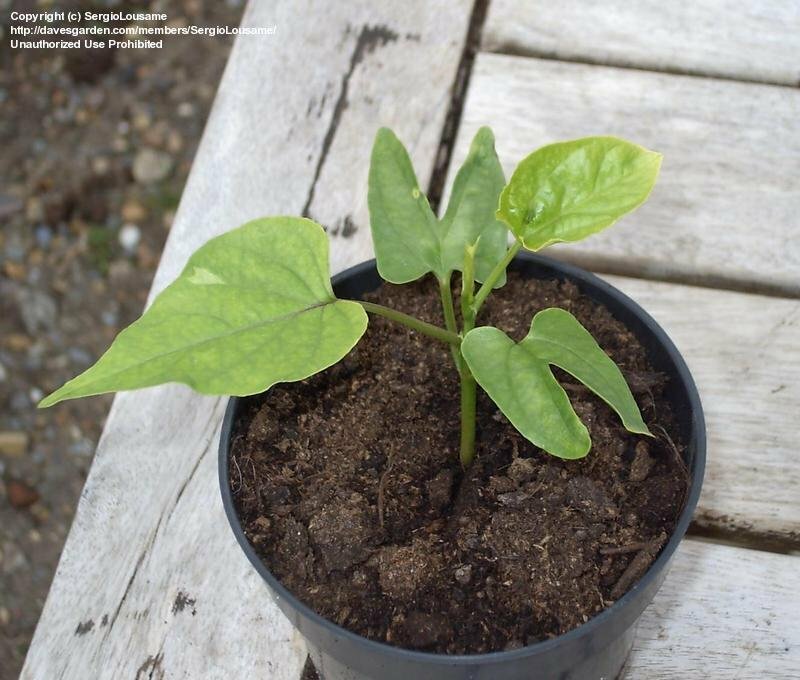 This little one is only one month, can't wait to see the blooms. 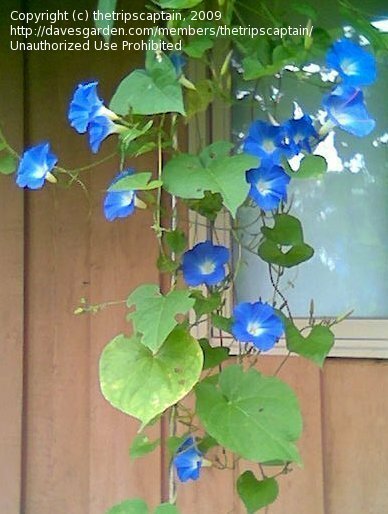 Heavenly Blue growing atop our gourd arbor. 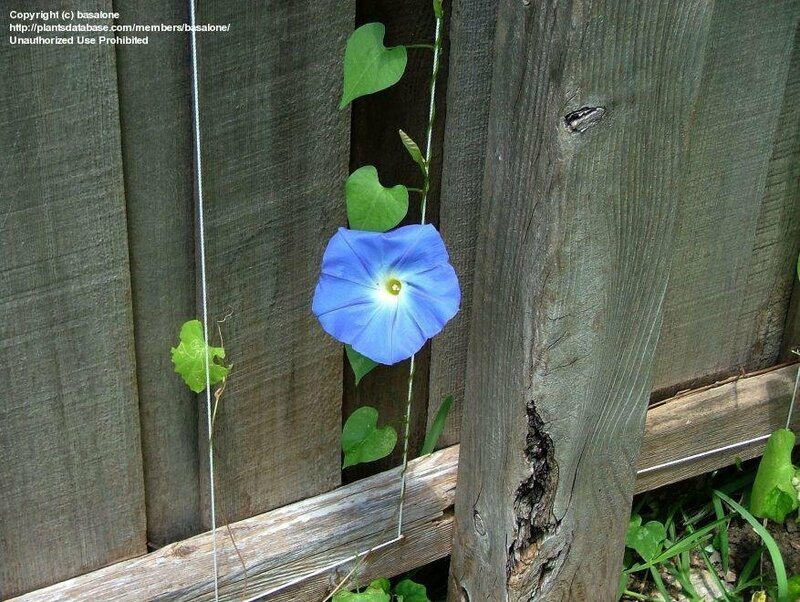 Re-seeds itself every year. 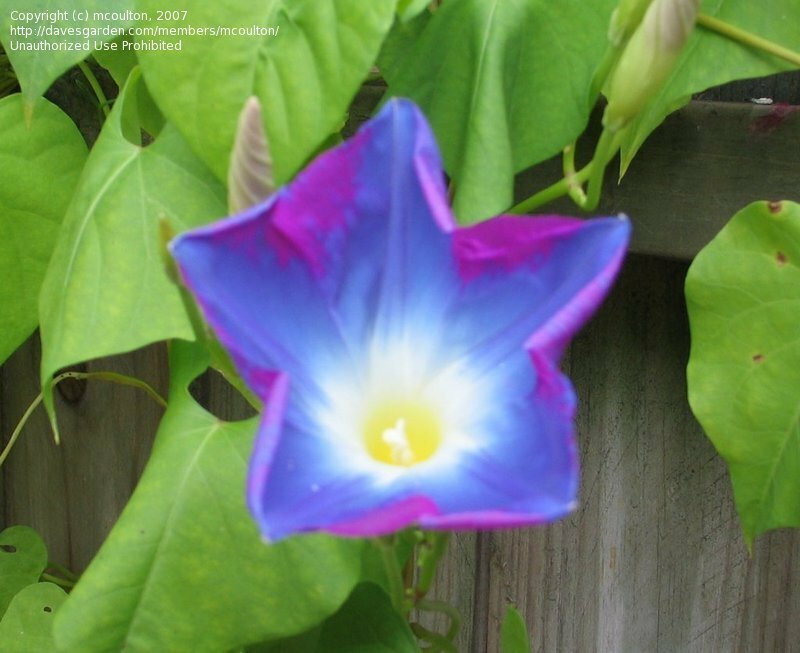 Mottled blue with pink color from 2005. 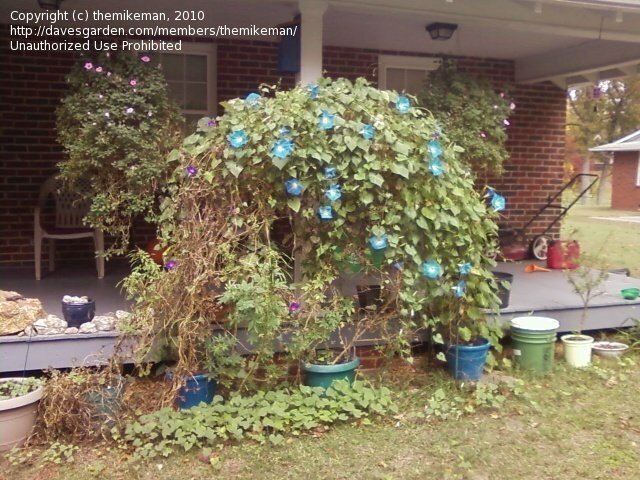 This years blooms are all pink! 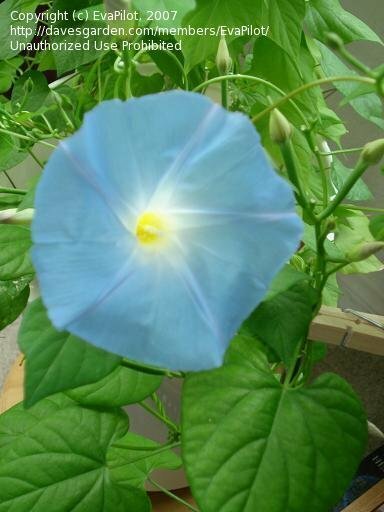 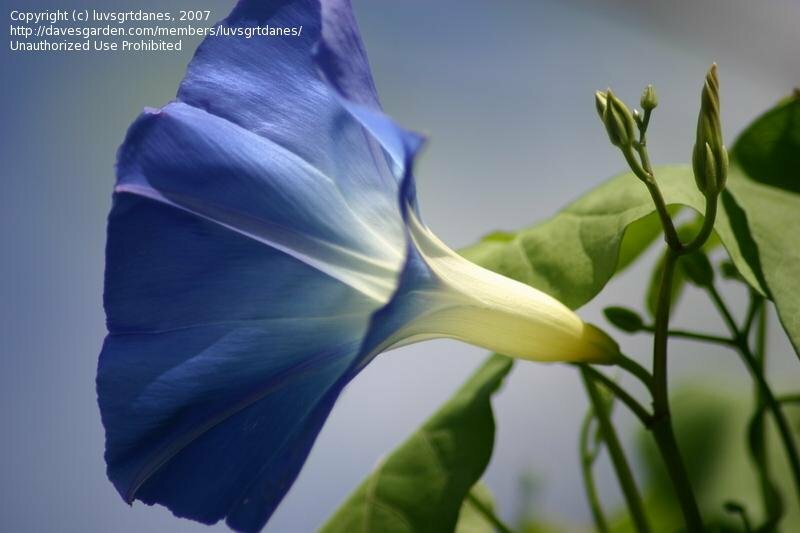 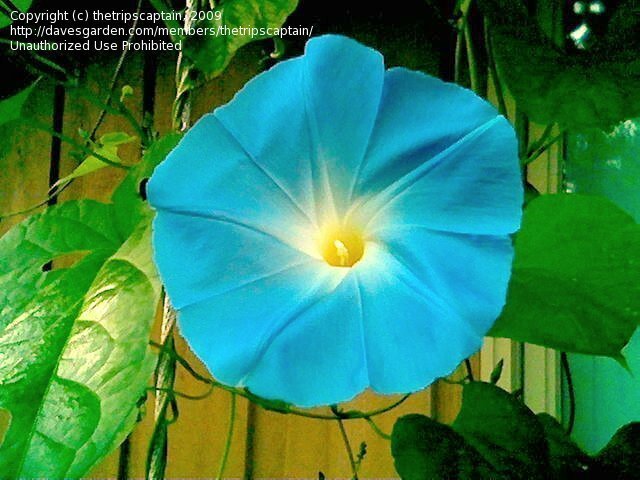 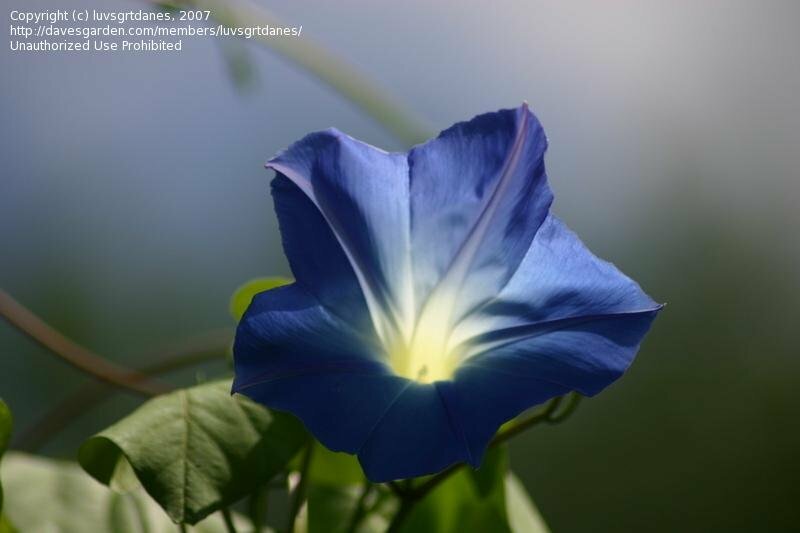 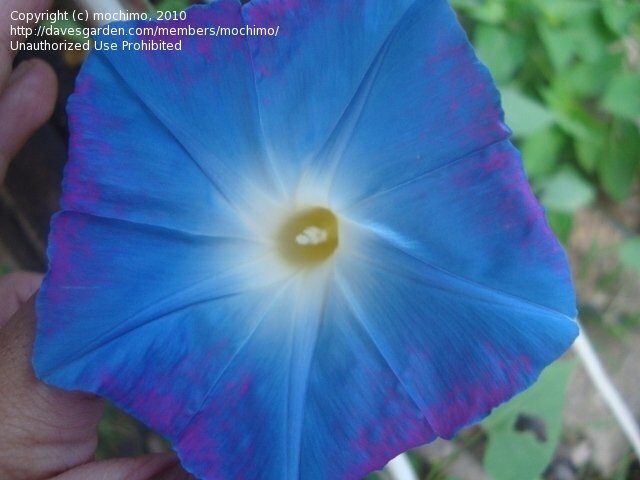 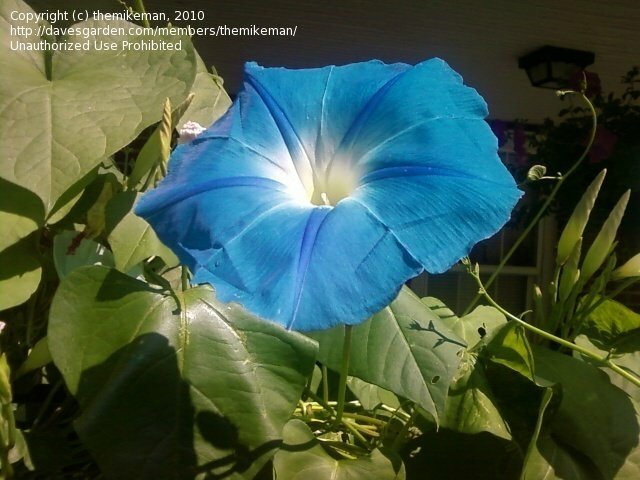 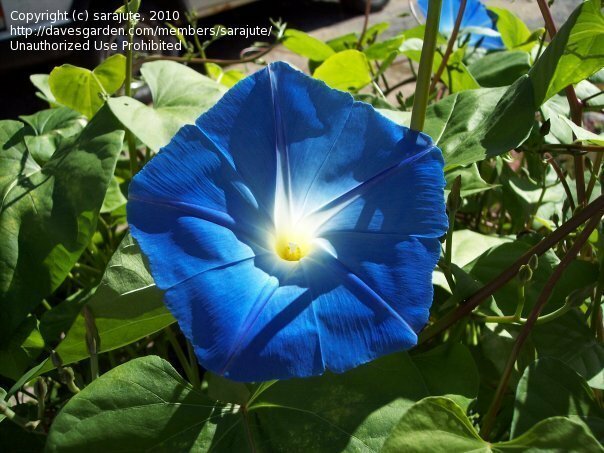 Heavenly Blue Morning Glory bloom! 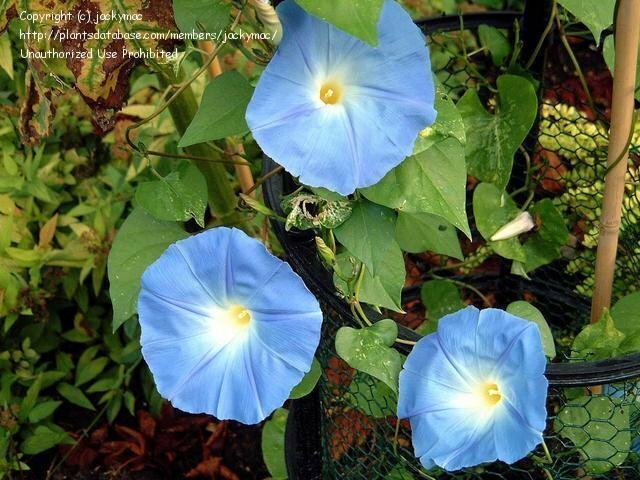 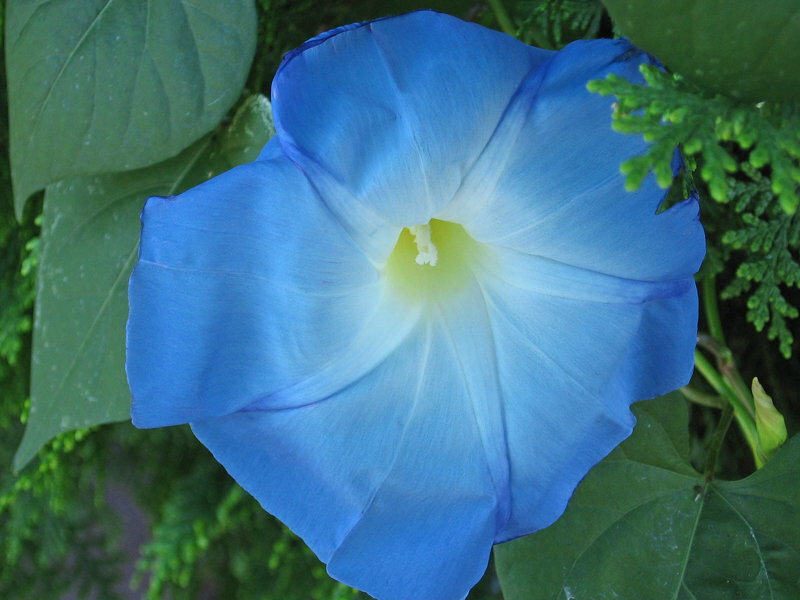 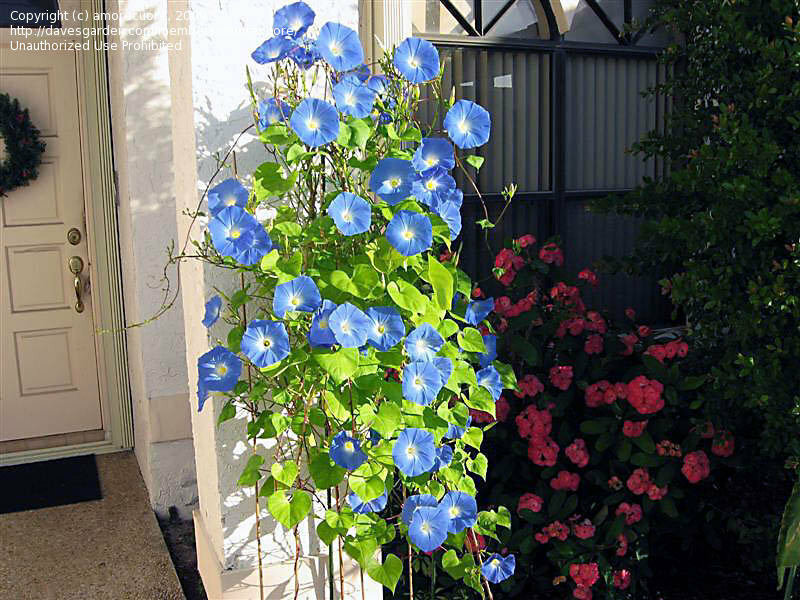 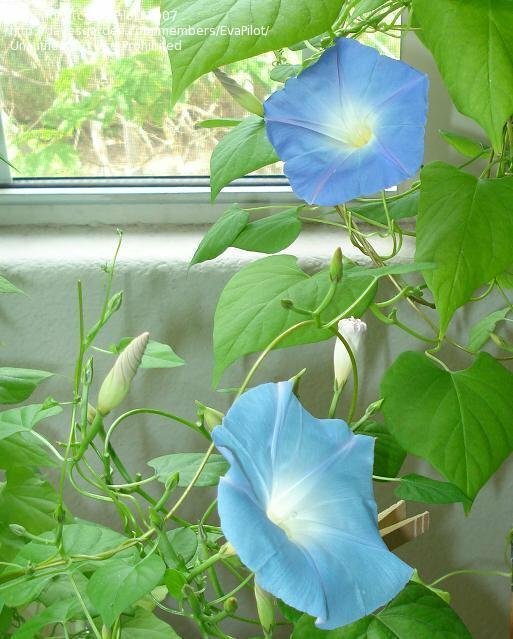 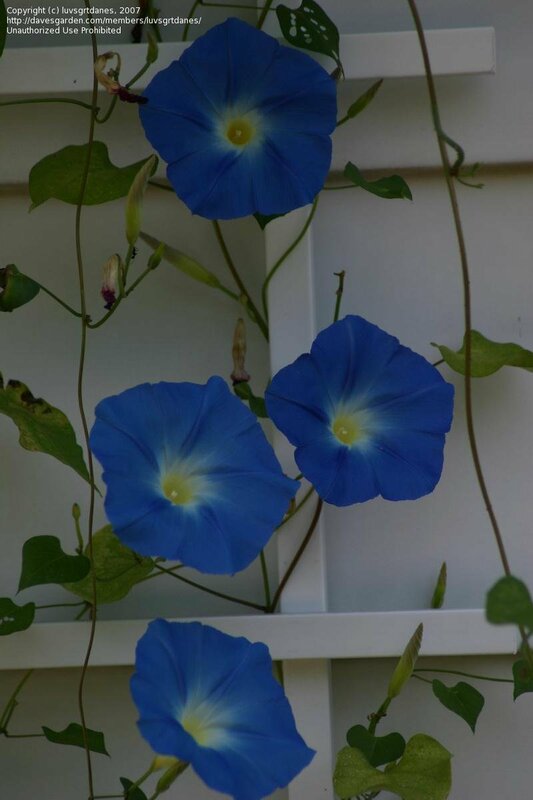 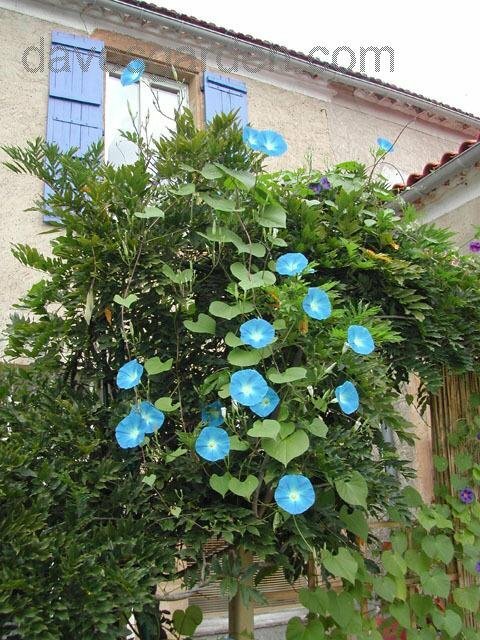 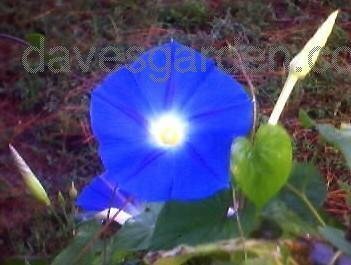 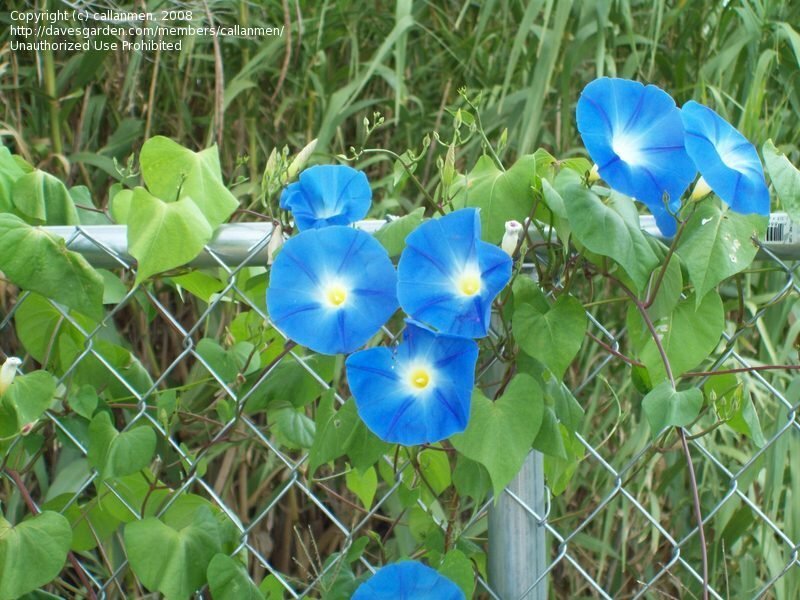 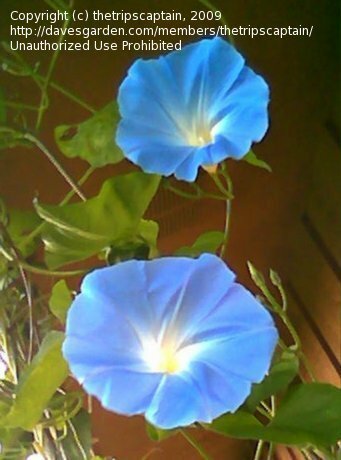 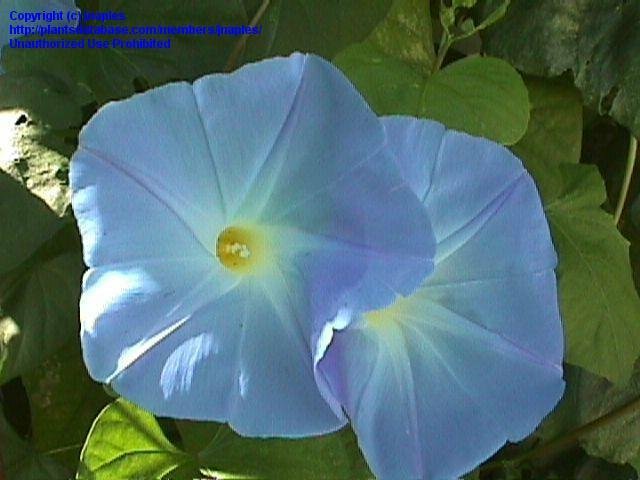 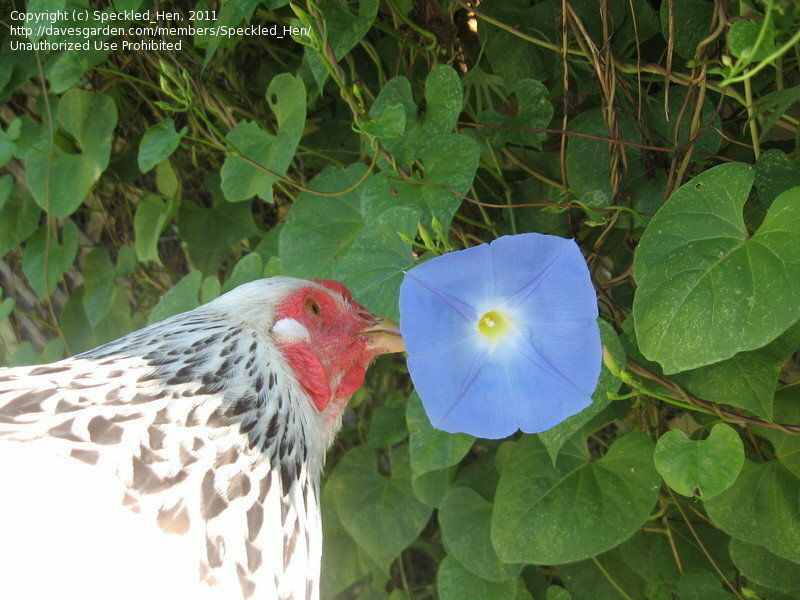 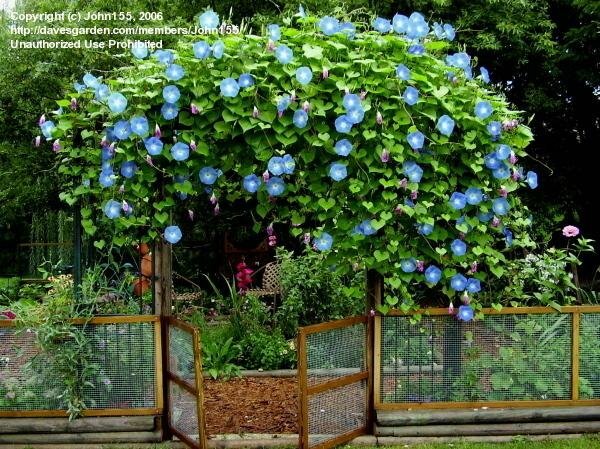 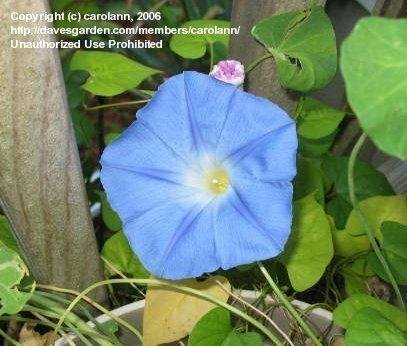 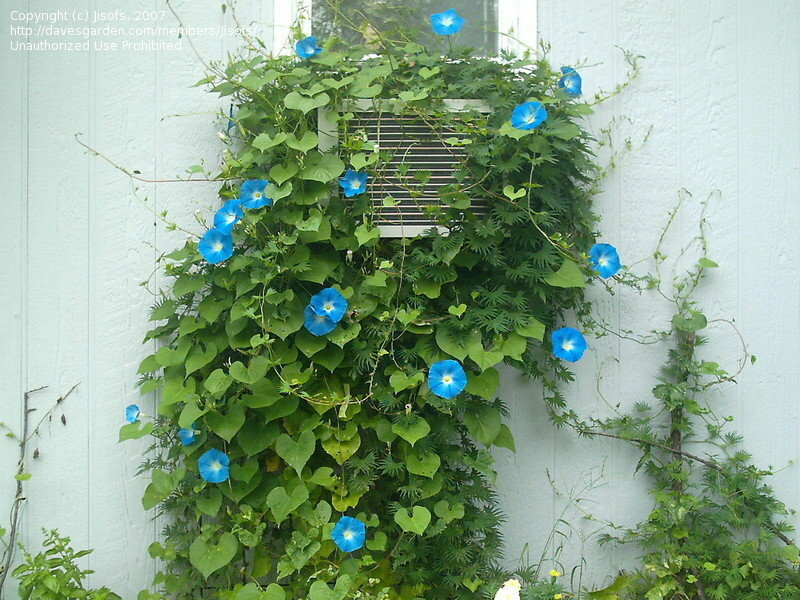 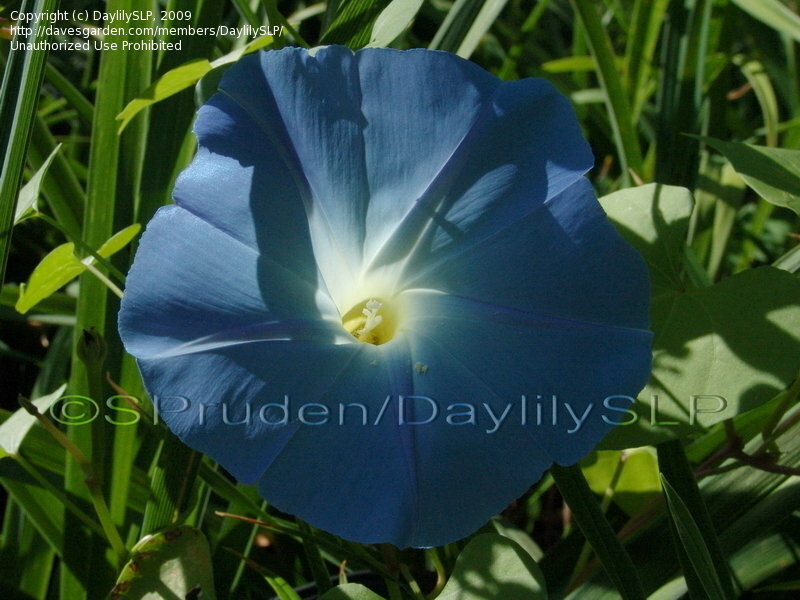 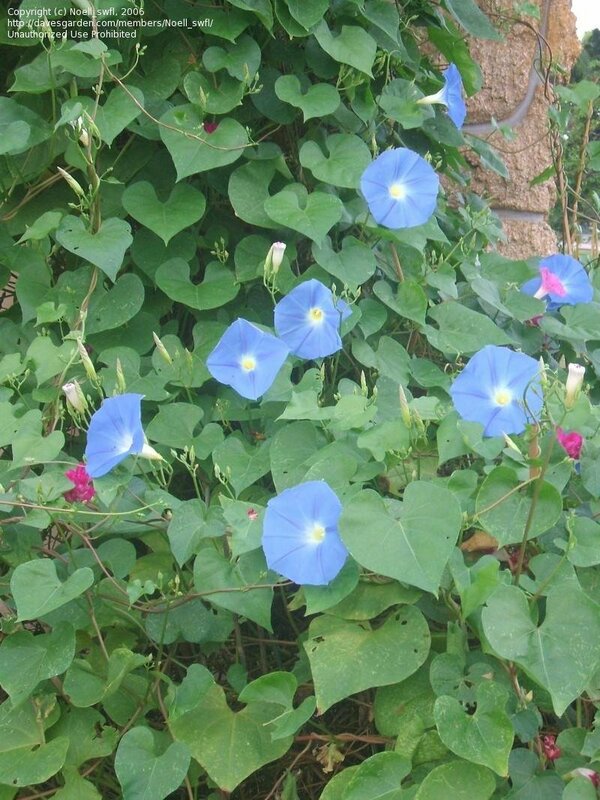 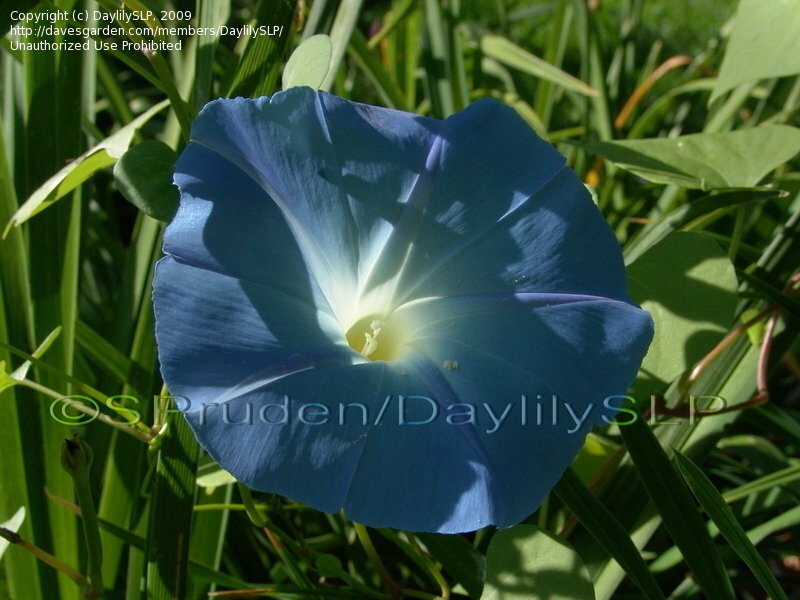 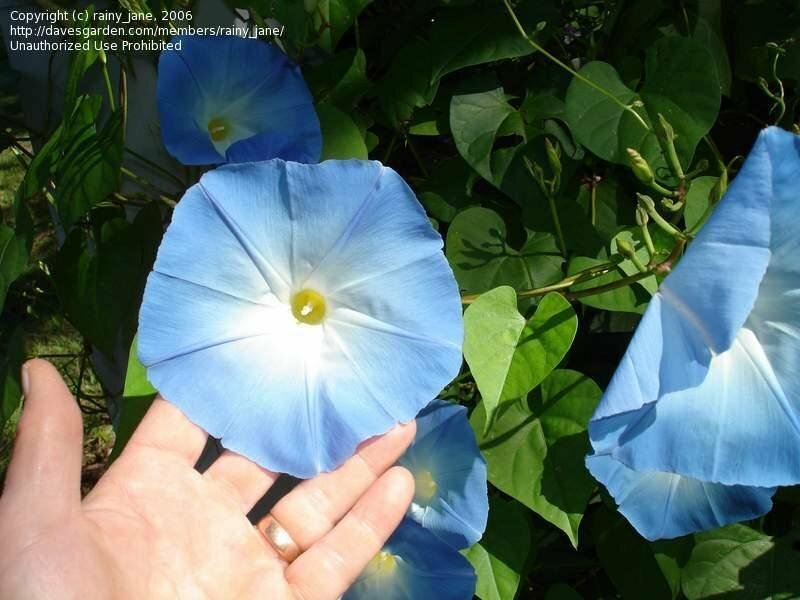 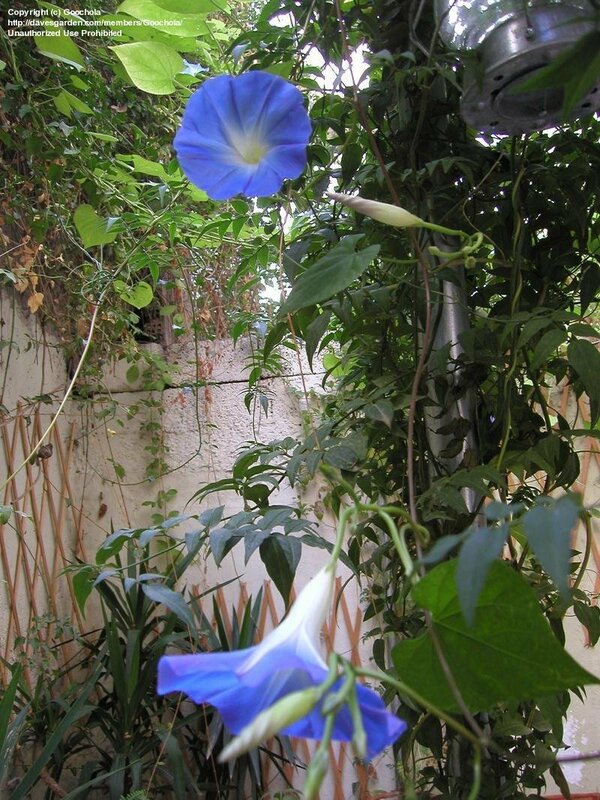 Heavenly Blue Morning Glory blooms! 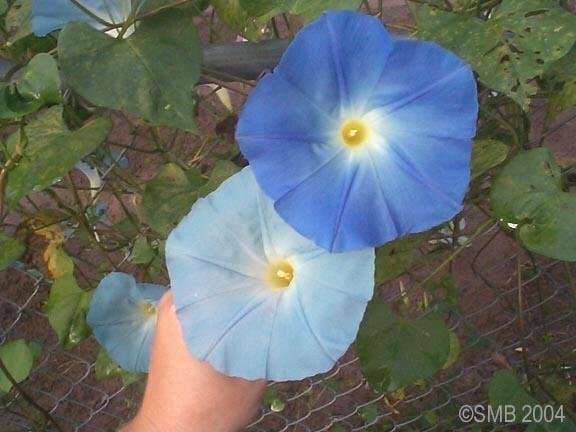 Extremely pale version of Heavenly Blue adjacent ripening seed pods. 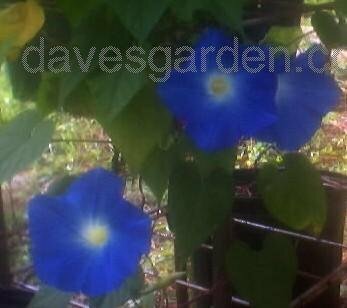 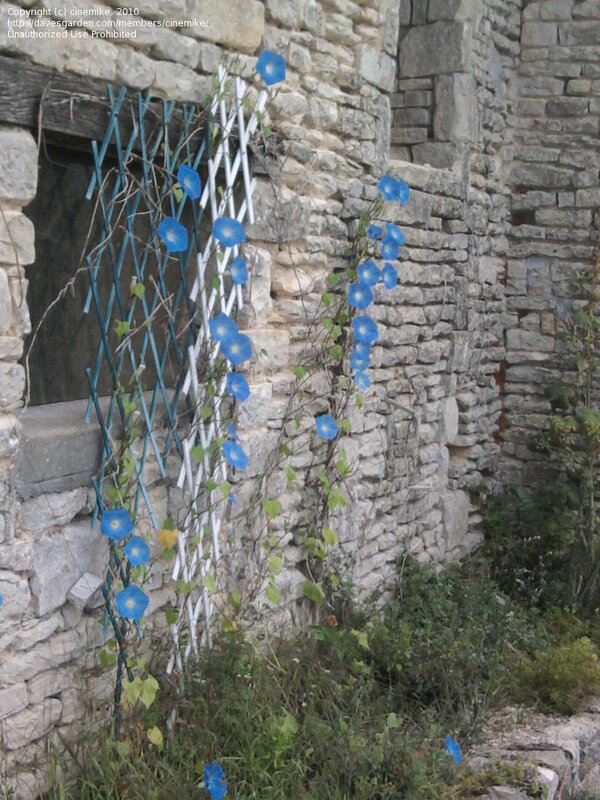 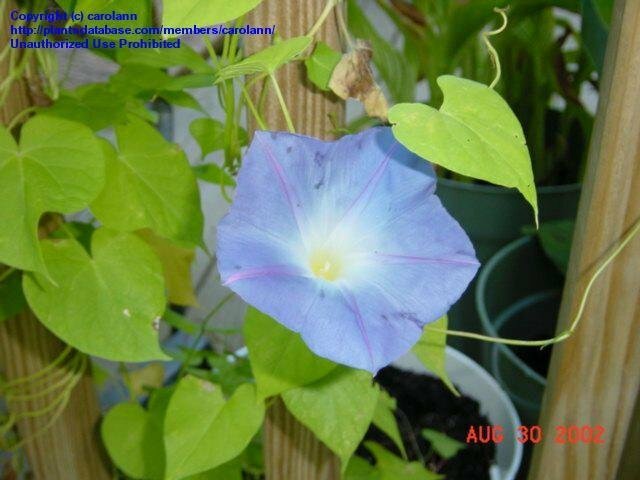 These are the first two of the first Heavenly Blue vine I planted. 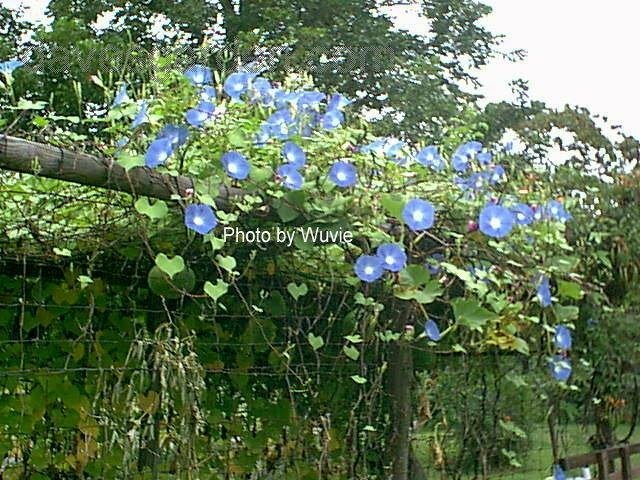 They're blooming on the shady side of a north facing trellis. 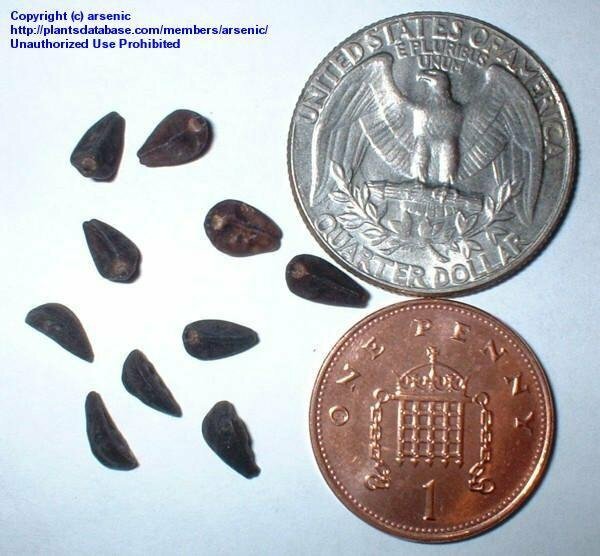 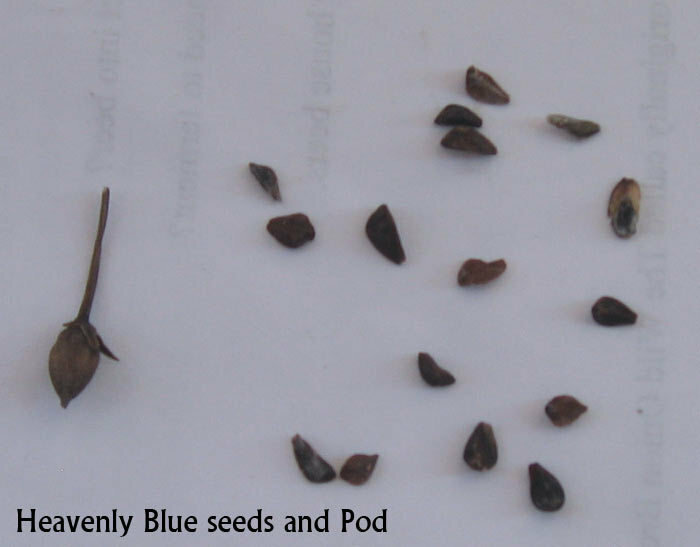 Seeds with a seed pod. 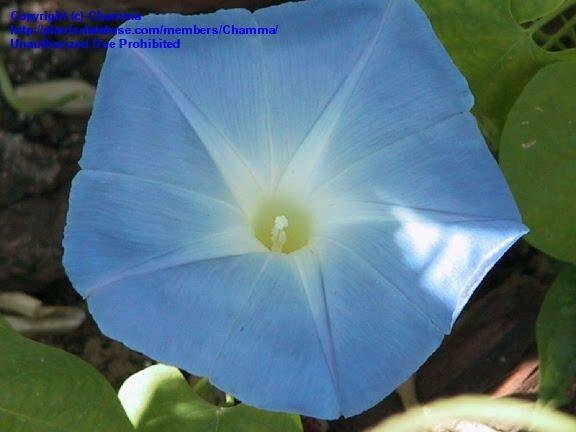 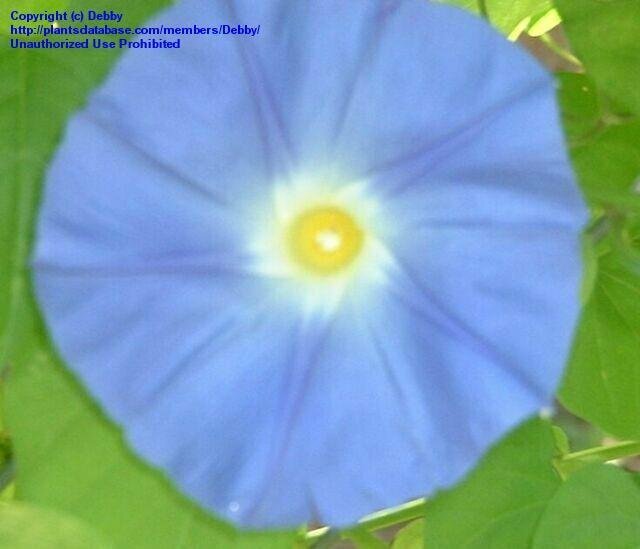 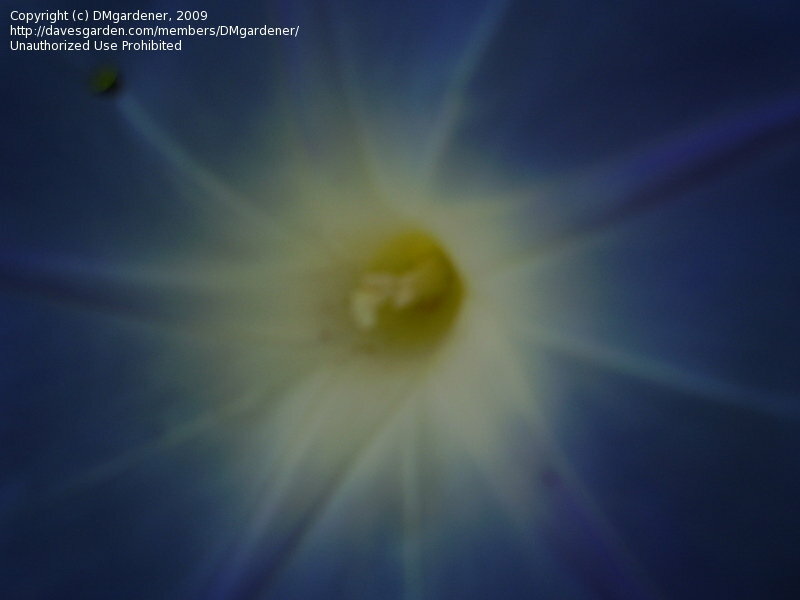 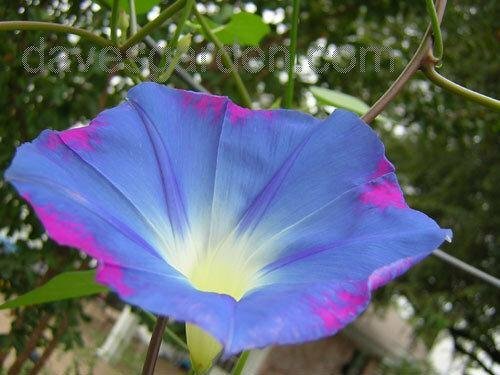 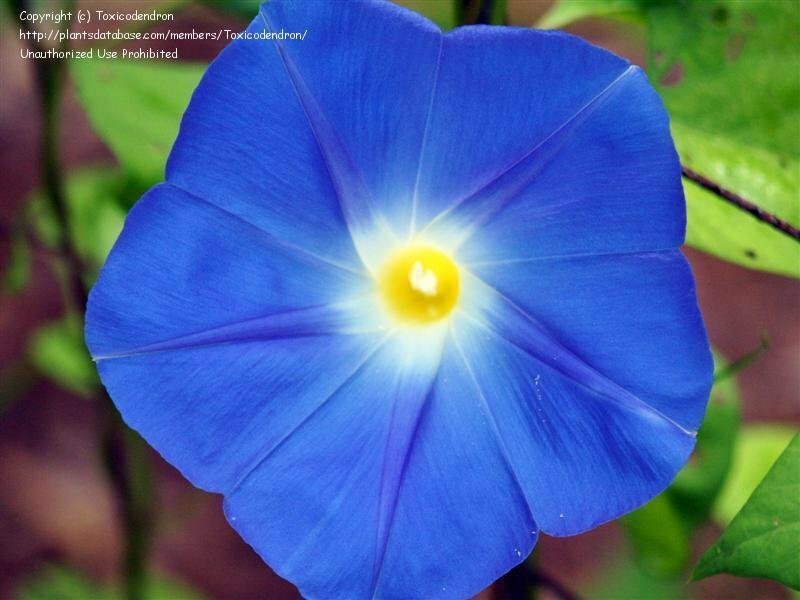 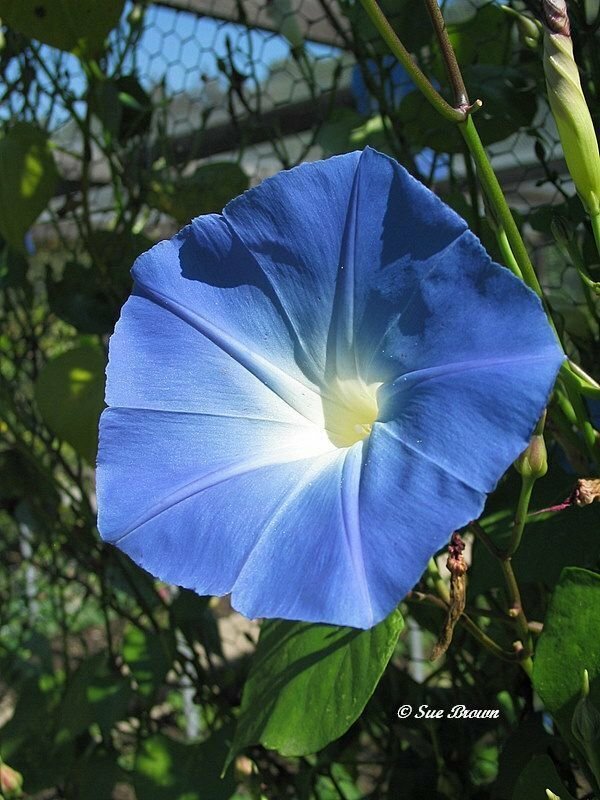 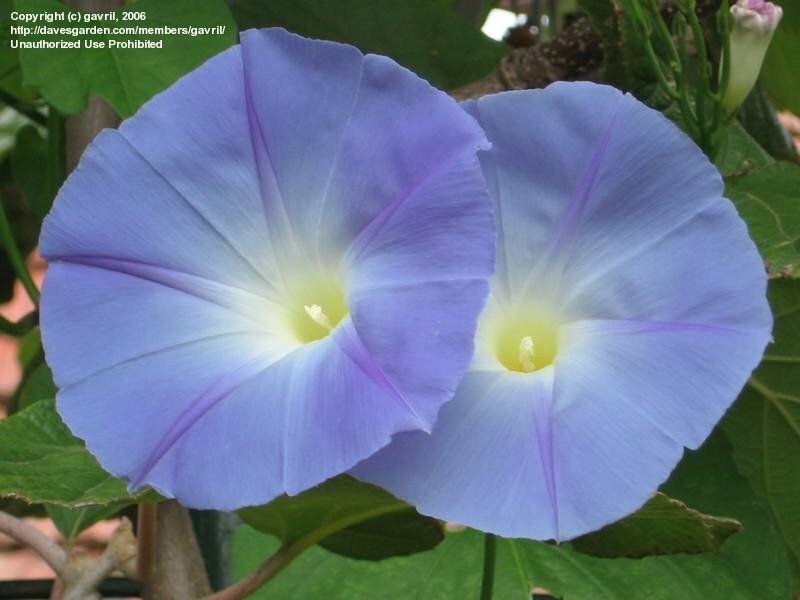 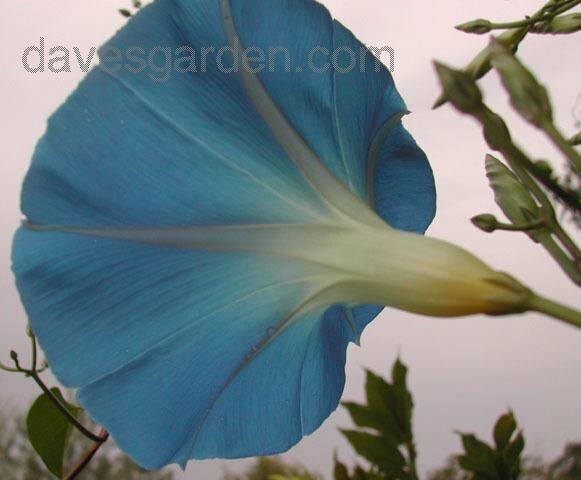 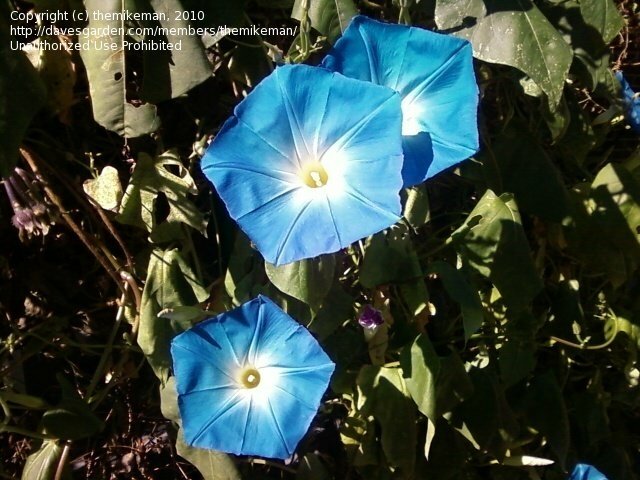 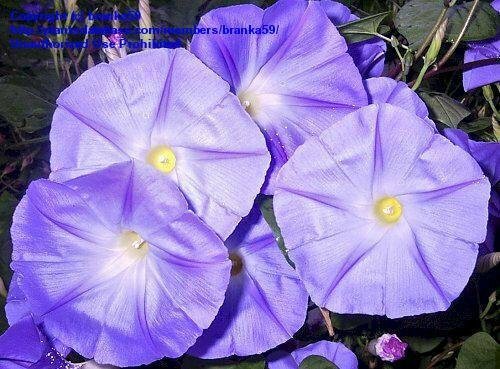 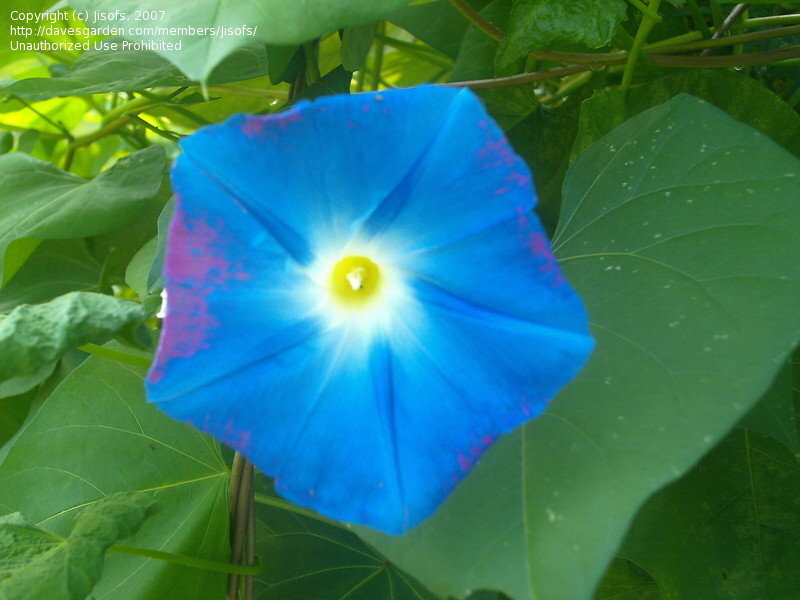 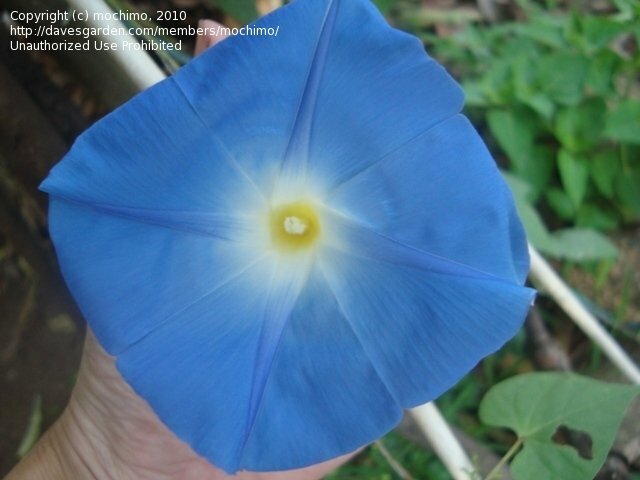 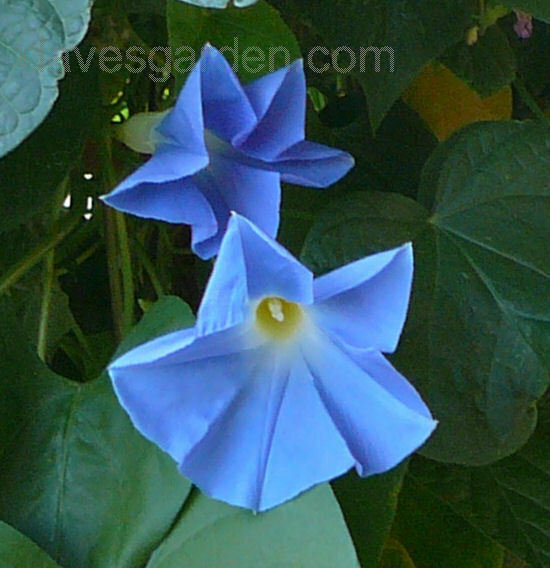 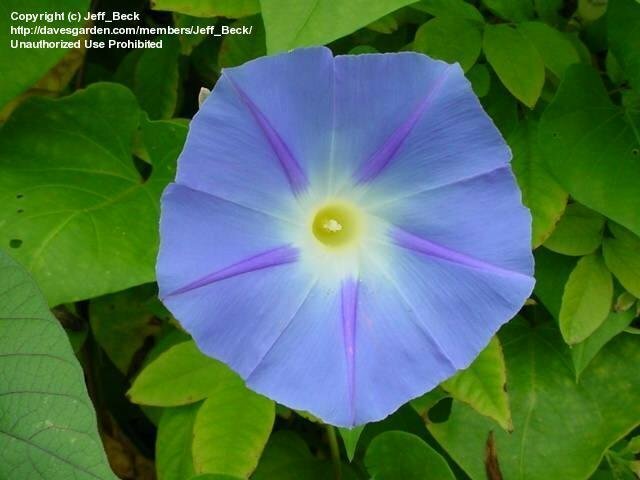 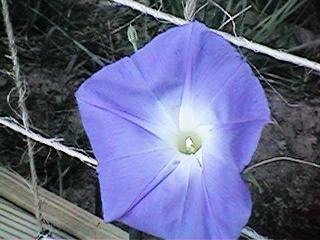 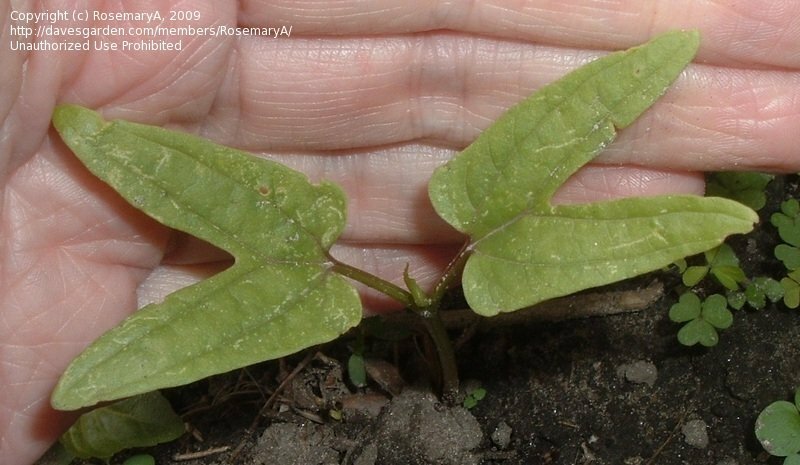 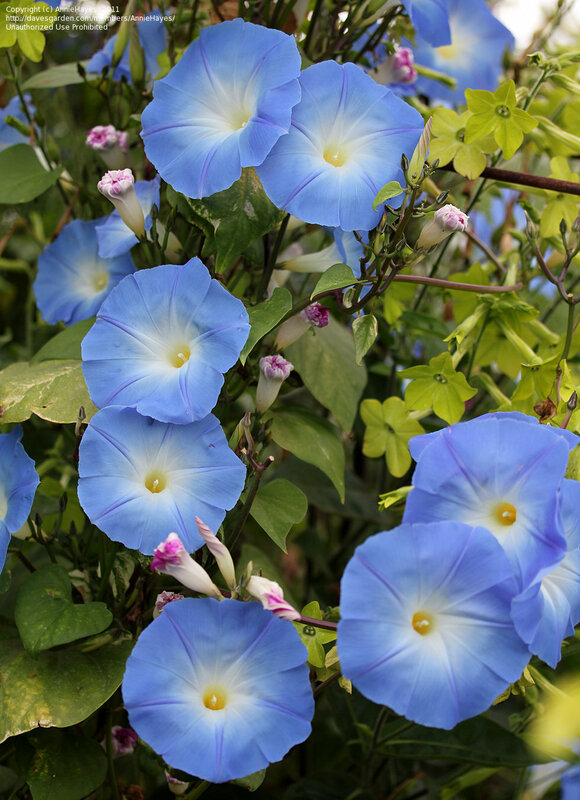 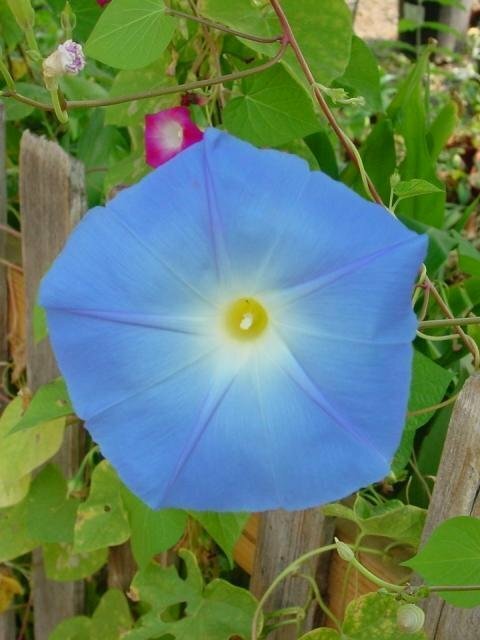 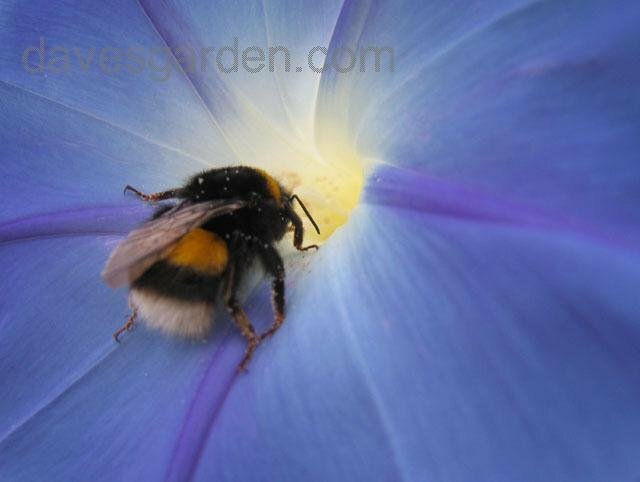 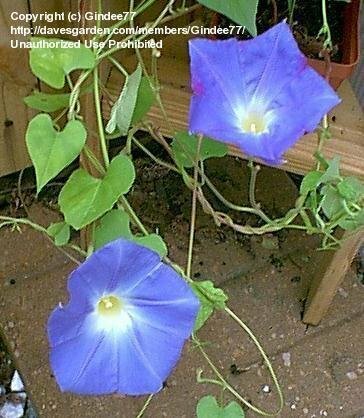 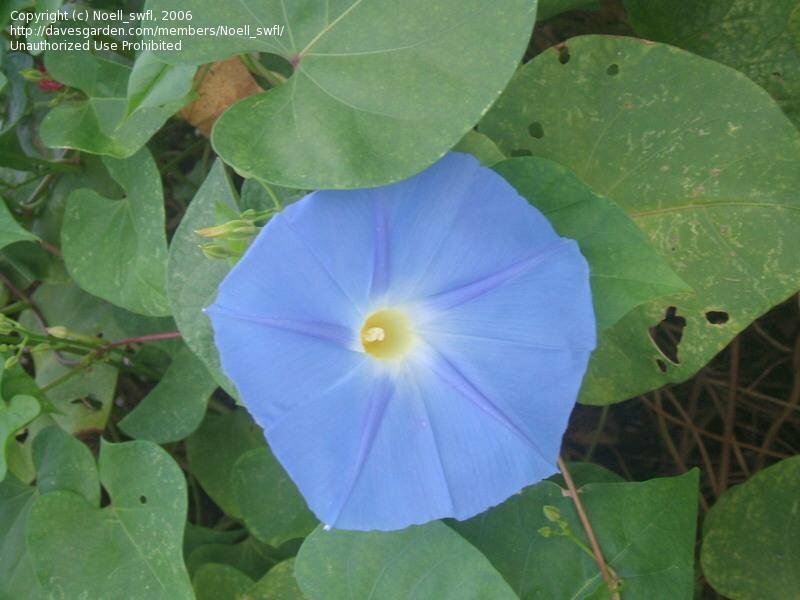 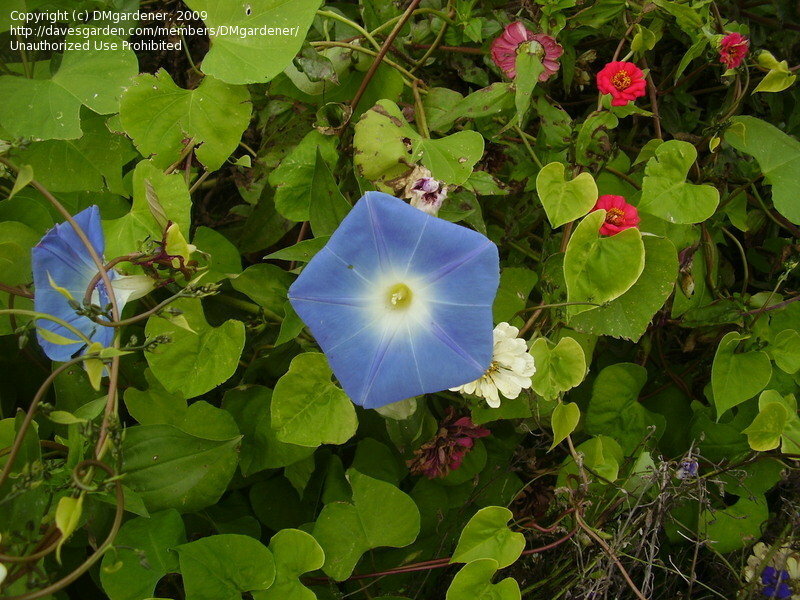 Ipomoea tricolor 'Heavenly Blue' seedling.